With so much of our lives taking place digitally these days, it's hard to remember what things were like before the internet and email. Did we really just pick up the phone and call someone when we needed to get a hold of them? Or pull out a piece of paper and write them a letter when there was something to share? However, even though I do the large majority of my correspondences on the computer, one aspect that I've always felt should be done traditionally is sending out invitation cards and thank you cards. E-vites and emails work for some things, but when it comes to a true party and really showing gratitude, I remain convinced that nothing beats the real deal. Fortunately, there are still sites like SanLori that believe the same thing. 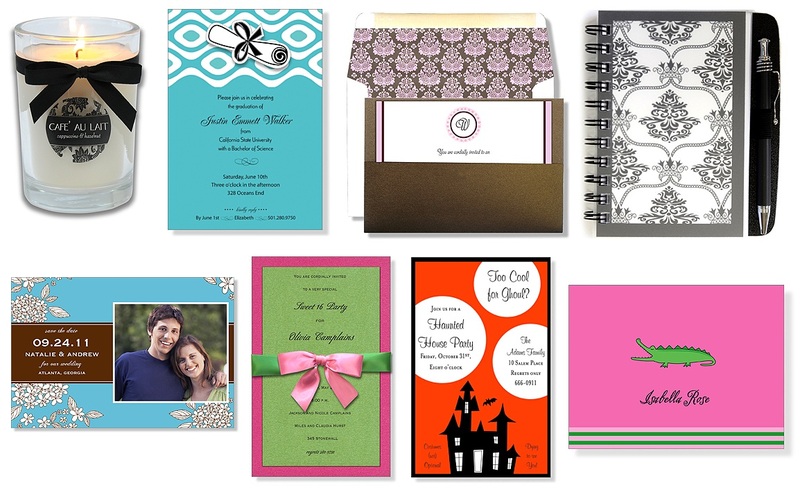 Not only that, they offer a wide selection of styles, colors and formats of invitations, stationary and gifts to help you stay connected for any occasion. With a goal of giving you a little inspiration while you enjoy each birthday, holiday or event that you might be celebrating, SanLori has it all. 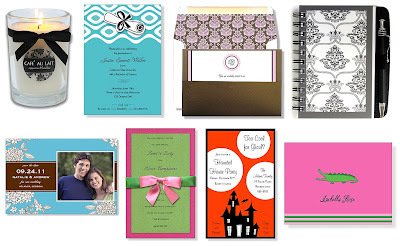 Their collection of stylish, versatile and, best of all, cheap invitations come in so many varieties and colors that they are sure to start your party off on the right foot. I'd be excited to be invited to either of these parties, wouldn't you? I especially love the idea of the Fill-In Invitations and Fill-In Thank You's as a way to really give kids a chance to be a part of the writing. 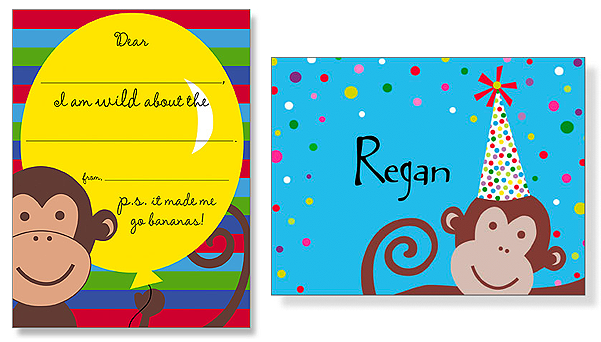 It's never too early to learn how to send a great thank you card! 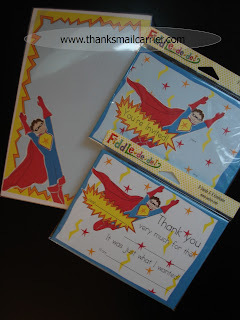 In fact, for Big Sister E's upcoming Super Hero birthday party, she is all set to help me fill in the invitations, thanks yous and even write an extra letter or two with the great set of Hello Hero Fiddle-de-de! products she received from SanLori. The bright colors, eye-catching design and thick, sturdy quality of these items are perfect for a child's birthday and Big Sister E was excited about them right away. I have no doubt that pulling out the Hello Hero Thank You Cards after the party will be a great way to not only reminisce about the fun that we had but to talk about what it means to be generous and why we thank people. But there doesn't always have to be a predetermined event or reason to send a letter, right? 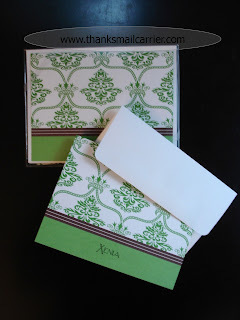 SanLori sent me a great set of their Royal Green Note Cards, personalized with my name, that are just right for when a sweet note would brighten someone's day. The classy design and the matte finish make these easy to pull out at a moment's notice to let my friends, family or even business contacts know that I appreciate them. From their clean, high quality items to their large selection and low prices, SanLori has something for everyone. Adults and kids alike can easily keep in contact with a set of correspondence notes or show their gratitude with stylish thank you cards. With stationary and gift options for weddings, holidays, graduation, baby showers... the hardest part about shopping at SanLori is narrowing down the seemingly endless list of possibilities. One lucky person will win the item of their choice from SanLori! To enter to win: Visit SanLori and tell me which of their stylish items is your favorite. 3 Extra Entries if you blog about this giveaway linking back to Thanks, Mail Carrier and SanLori. Please leave an address where it can be found. Giveaway will end on October 15th at 11:59pm CST. Do me the favor of leaving an email address or making absolutely sure it is visible in your profile, I have to have a way to contact the winner. The winner will be chosen by random.org and announced here as well as emailed and will have 48 hours to contact me or respond to notification or a new winner will be chosen. This giveaway is open to U.S. residents only. 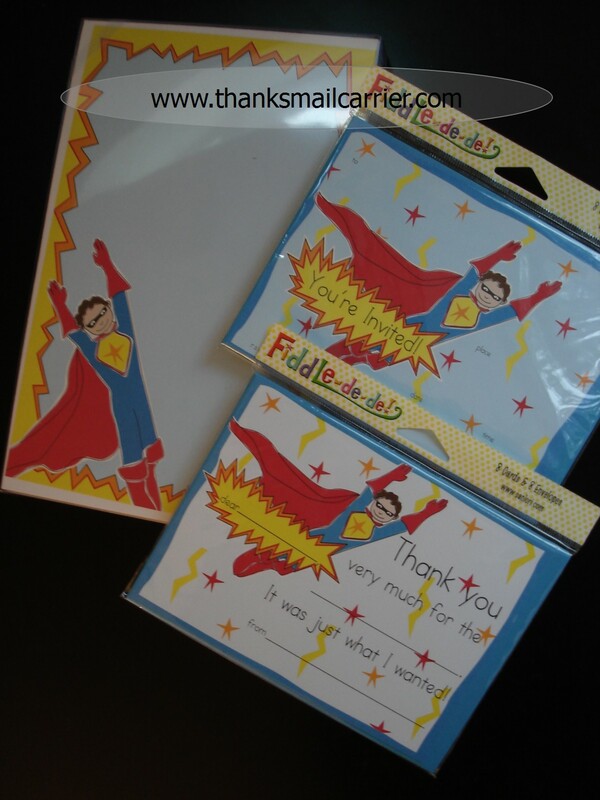 A big thank you to SanLori for providing the Hello Hero Invitations, Thanks You Cards and Stationary and the Royal Green Notecards for me to review as well as the item of choice for one lucky giveaway winner. The opinions shared are my own and honest if you really need to see more, click here to see how I roll. Cherry Blossom Calling Card / Save the Date. I'm getting married soon and these would be fun for my bachelorette weekend at the beach with my girls! I already follow through google friend connect! I love He's a Monkey notecards for my monkey. SKU# GPR-45 JM-101. These would be great for the baby shower I am having for my daughter-in-law. The journal are adorable, I especially like the Castile Journal Pad. I love the Spot On Pocket Invitation with Ribbon! Sign Up for SanLori Newsletter. Entered Clouds & Stripes Giveaway. My favorite are the black paneled stationary cards! 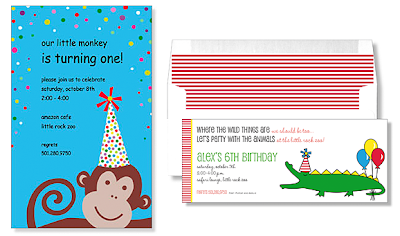 The alligator birthday invites are adorable! I would love to have Grand Opera Invitation it's so chic! My favorite is the Thank You cards identified as May I Have This Dance Note, SKU# N-701203. I like the Hot Chicks! French Kiss Candle. Thanks. I like either the castile or kyoto journals. I think the Royal Green Note is my favorite too... I'd probably get them in thank you note style. Perfect for my tradional "red and green" greetings! Entered Clouds and stars giveaway! The Black Lacquer Stationary is gorge!